click photo to enlarge The Riverside International Automotive Museum was sponsoring test drives of the Tesla Motors all electric premium vehicles. 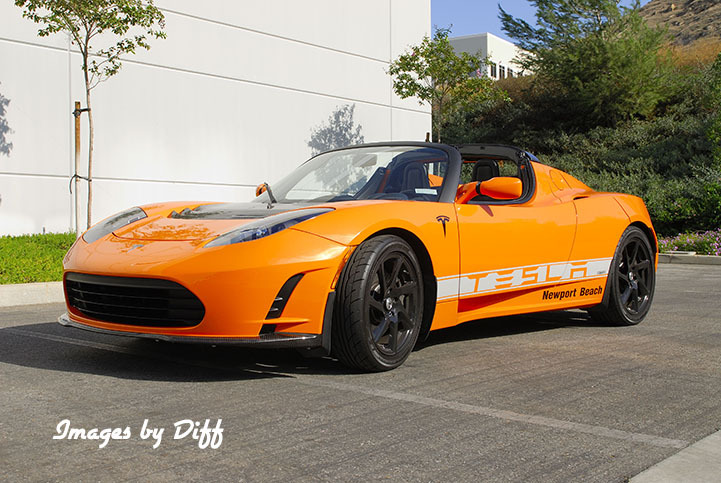 This is an all electric vehicle that does 0-60 Mph in 3.7 seconds. Umm a free test drive of one of the fasted vehicles I have ever driven... free food, free give aways... umm I'm there. 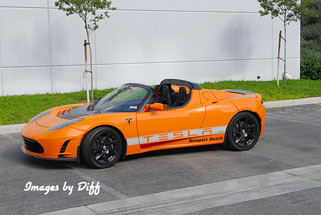 click photo to enlarge Tesla was stated in 2003 with the first vehicle hitting the streets in 2008. 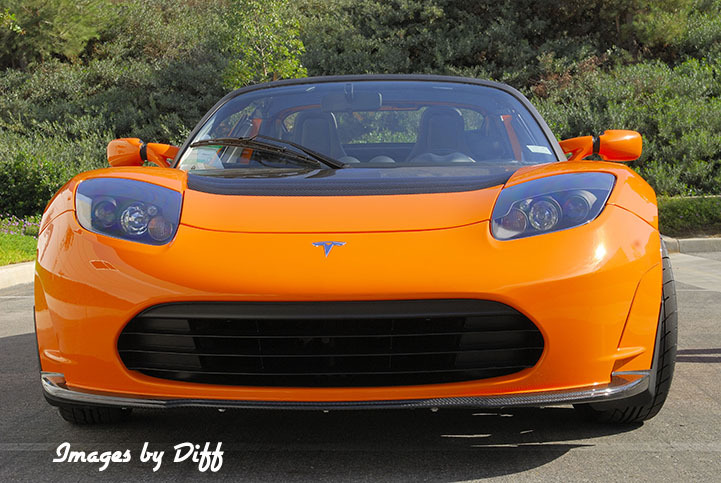 The vehicle can go 245 miles per charge but mileage may vary up and down depending on how it is being driven. Being all electric it is quiet. I would nail the accelerator and look down at the speedometer and in the blink of an eye I was doing 80 Mph. This was on a Saturday in a manufacturing area of Riverside so the streets were pretty quiet. But it sure put you back in your seat. I only got to drive it for about 10 minutes but it sure was fun to drive. 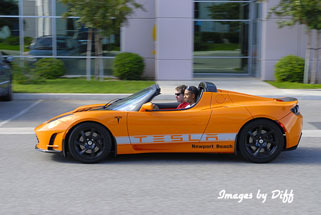 click photo to enlarge The model shown here is the roadster but they do also make a 4 door coupe rated at 0-60 in 5.6 seconds and 300 miles per charge. The entire body is carbon fiber. There is no delay at all in response. As you move the pedal the car responds instantly. 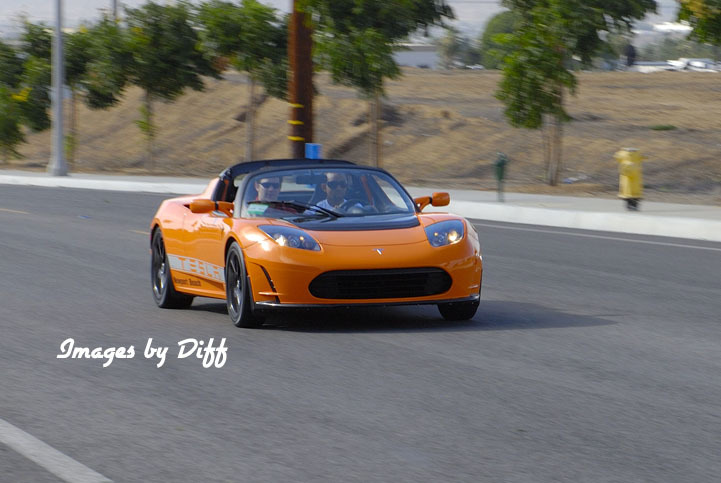 It is incredibly powerful, smooth and quiet acceleration. I have never driven anything quite like it. 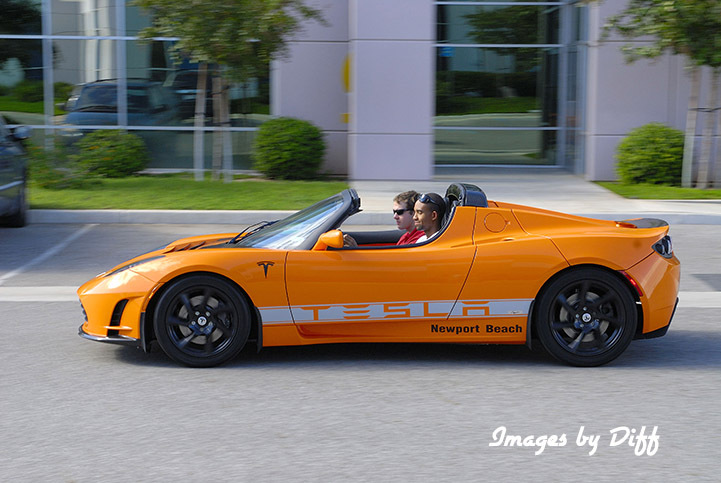 The electric drive train has an incredible torque right from a dead stop, rated at 295 ft. lbs. and 288 horse power with 0 emissions. What a blast !